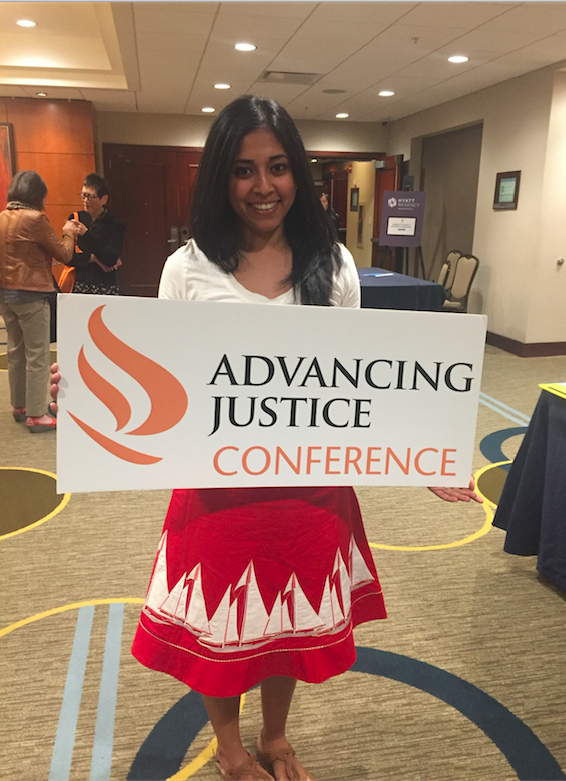 From April 11-13, I, along with a few other MomRising staff, attended the Advancing Justice conference in Washington DC. The conference is run by Asian Americans Advancing Justice, a non-profit legal aid and civil rights organization dedicated to advocating for civil rights, providing legal services and education and building coalitions on behalf of the Asian Americans, Native Hawaiian, and Pacific Islander (NHPI) communities. The conference brings together organizers around the country who work on issues relating to Asian Americans and Pacific Islanders, to connect with one another, share their work and gain some training and best practices from panels. This year's theme was "Protect, Resist and Advance", themes that many progressive organizations embody especially in the post-2016 election world. The Asian American Pacific Islander organizing space is made up of dedicated activists and groups who are too often under-resourced, but the community is strong as they work to carry on the legacies of organizers and movements of years past. From calling for justice after the internment of Japanese Americans during WWII, to activism and mobilization around the hate-motivated murder of Vincent Chin, to the establishment of the first Ethnic studies program in alliance with Black and Latino students during the civil rights era, Asian American organizing has been a precedent-setting but often hidden movement in the pages of history and in national discourse. Which is why gatherings like this are crucial for a greater, more connected and intersectional movement. This was a key theme of the opening plenary, where current AAPI electeds addressed the audience, stressing the need for Asian Americans to continue to break barriers on the ground, be involved in legislative change efforts, and also focus on political leadership positions. There was an emphasis to encourage Asian Americans to run for public office and be at the table where important decisions are being made. Panelists included U.S. Senator Mazie Hirono, Congressmember Pramila Jayapal of Washington state, Representatives Bee Nguyn and Sam Park of the Georgia House of Representatives, and Delegate Kathy Tran from the Virginia House. Senator Hirono spoke candidly about the challenges progressive electeds are facing in Washington during the Trump Administration and how on-the-ground organizing is and has been a crucial element in standing up to attacks on our communities while also laying the groundwork for stronger infrastructure for long-term organizing. Representative Jayapal, who is serving in her first term as a member of the House, and who was an organizer herself (formerly the Founder and Executive Director of the pro-immigration rights organization, OneAmerica) encouraged the audience to not let up the pressure on the Trump administration when it comes to fighting the policies that are hurting our families and communities, and stressed the importance of local political engagement to lead the changes that directly impact us. Georgia Representative Park is the first openly gay man elected to Georgia's general assembly, and though that was an important barrier to break, he emphasized how it is crucial to not focus only on individual victories, but invest in creating a movement where you have more allies in houses of legislature to create policies that actively reflect what people are facing in their daily lives. Park is part of building this movement; Representative Nguyen, it turns out, was his Chief of Staff whom he encouraged to run for office. Another common element throughout the panel were the stories all of the electeds brought with them to the panel, the stories of either their own immigration histories, or the histories of the families, and what it means to be part of an American political landscape that wasn't necessarily created for us. Fighting back against attacks on family-based immigration, which includes opposing the RAISE Act, a plan introduced by two Republican Senators to restrict immigration by about 50% in the next ten years, which has gotten direct support from the Trump Administration. Supporting an increased budget for the Census Bureau to prepare for the 2020 Census. Opposition to the last-minute inclusion of the citizenship question. All of these policies have deeply negative impacts for API communities and other communities of color. After the legislative visits, there were caucus sessions. I attended the Arab, Middle Eastern, Muslim and South Asian (AMEMSA) caucus. The room was packed and the hour and a half allotted wasn't nearly enough time to cover the conversation outlining attacks targeting Muslim and Muslim perceived communities. We discussed problematic policy decisions like the Muslim Ban, increased deportations, racial profiling and xenophobic policy agendas, their impacts on our communities, and what we are doing collectively to fight back. It was also interesting to discuss an elephant in almost every API room on pan-Asian identity and how South Asians relate to an identity which was can often be seen as an East Asian dominated space. As this caucus highlighted, there are many things to confront and ruminate on, both within and outside of our communities. The sessions for the day ended with a dinner featuring Chris Lu, a Senior Strategy advisor who served at the highest levels of government during a 20-year career in politics. In fact, not only did he serve in the Obama administration, he also attended law school with former President Barack Obama, though as he put it "even if he could disclose who got better grades, he would still say it was Obama." The night closed with an incredible a banjo-guzheng duo, the Ripple Effect, a duo of two female artists who married their respective cultures of Appalachian banjo and traditional Chinese music to produce a beautiful performance that astonishingly worked perfectly together! On the last day of the conference, the morning plenary focused on a topic that went straight to the point of our current and past challenges, "Challenging White Supremacy", featuring an all-star activist panel that included former staffers from the Obama administration who have since moved onto senior roles in leading civil rights organizations. This was followed by the last plenary of the day focusing on civic engagement and the power of the APIA vote in 2018 and beyond. 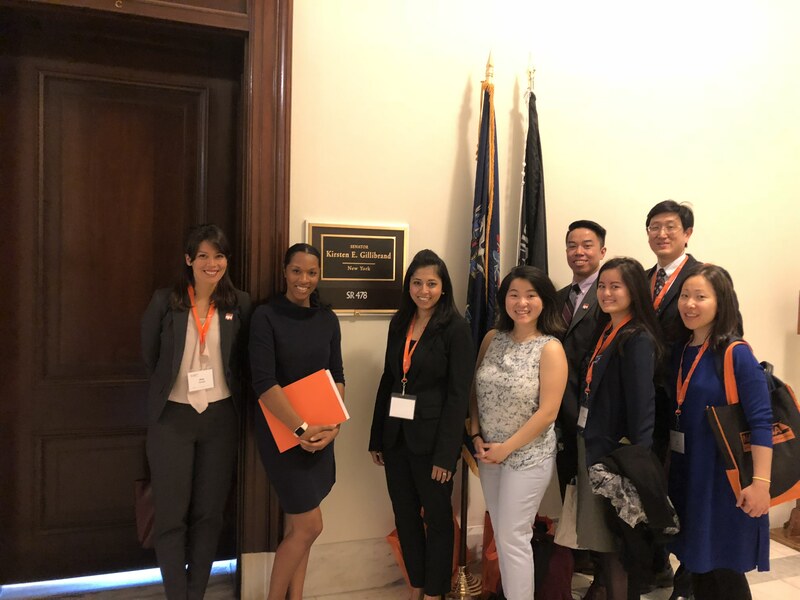 What came out of that conversation was a deep need for ongoing APIA voter cultivation and turnout, but also a challenge to confront the complexities of organizing within Asian American communities. One of the commentators held up the example of the mobilization of some Chinese Americans against affirmative action, a move that put them at odds with other communities of color and progressive Asian American activism. Though there are and will continue to be challenges, there are many positive steps that have brought us further than we, as a community, have been in the past. One of the panelists, Ravinder Bhalla, who serves as Mayor of Hoboken, NJ, after a successful election campaign in 2017, spoke to the strengths of being part of a greater community, beyond just the Asian American identity, to create a greater sense of unity and belonging that may be unique to the American experience. The closing plenary featured a very special performance by the artist, MILCK, whose single 'Quiet" became widely known as the unofficial anthem of the Women's March in 2017. Her anecdotes of growing up Chinese American with a father who imparted to her "Physician, not musician!" garnering both laughs and tears of recognition of many in the room. As the conference drew to a close, I walked away lighter than I was when I arrived. Though I consider myself a "seasoned" organizer in some ways, I was reinvigorated and inspired by the folks at the conference, both the ones I networked with in between sessions, and the presenters addressing us from panels. Being part of this work during this time in our history can seem overwhelming. The challenges are very real, but it's also good to zoom out and have perspective, to realize that we are carrying the fires of hope and progress from the activists who came before us, who had even less support and infrastructure. And as I continue my community work and my work with MomsRising, I find comfort in knowing that even in lowest of moments and the darkest of times, I am not in it alone.